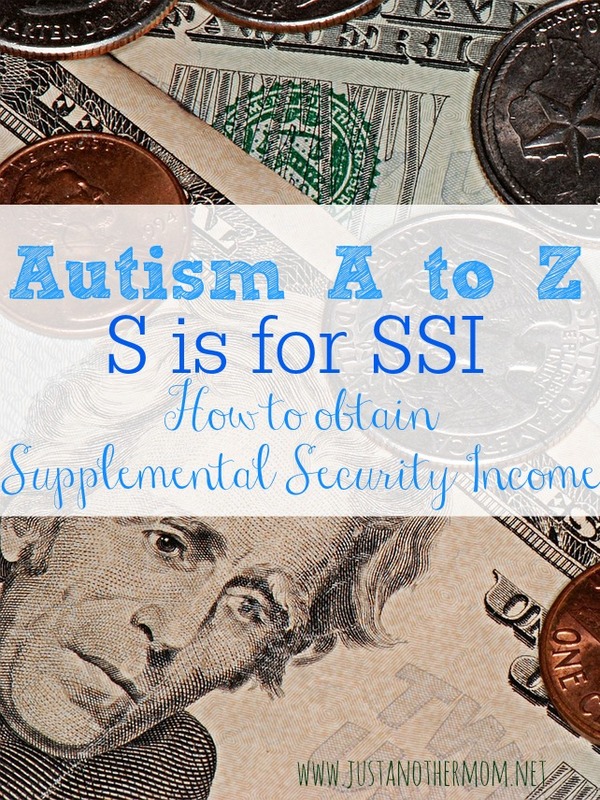 While this could have been for a multitude of other things I’m sure (and once I get my index page together, I’ll have additions as I think of them) for the Autism A to Z series, today S is for SSI (Supplemental Security Income) and how to get SSI benefits for your autistic child. I also want to talk about the differences between SSI and Social Security. SSI has been a huge help for us when it comes to getting things for Sweet B that aren’t otherwise covered elsewhere. I think, at some point, every parent of an autistic child should look into this. What does SSI stand for and what is it? SSI stands for Supplemental Security Income. The program is run by the Social Security Administration and is available to people with limited income and resources who are disabled, blind, or age 65 or older. Blind or disabled children may also get SSI. SSI is income based and the amount of income and assets that you have will determine how much SSI you can receive both from the federal government and your state government. To get SSI, you must be disabled, blind, or at least 65 years old and have “limited” income and resources. But, as mentioned above- blind or disabled children can also be eligible for SSI. * be either a U.S. citizen or national, or in one of certain categories of qualified non–citizens. Since Sweet B is under the age of 18, I am her Representative Payee. In other words, the check is paid out to me and I manage her resources month to month. She has a dedicated bank account, as per SSI regulations, and the only money that goes into or out of this account is from SSI. And due to the severity of her disability, I will likely remain her representative payee until the account can be transferred over to her (which will be covered later). Eligibility for SSI is usually determined by the income and assets of the person applying and the household. To determine if your child is eligible, please take the benefits screening test provided by Social Security Administration. If you are eligible, contact your local Social Security Administration office to begin the process. You will need to do an interview and provide several documents to start this process. The Social Security Administration also provides a spotlight page on SSI for Children that goes into much further depth and detail than I could provide. Your intake process will begin after you contact your local SSA office either through their website or by making a phone call. You’ll go through an interview where you’ll provide them with the necessary documents to proceed. Then you’ll enter a review process to determine your eligibility. If you qualify for SSI, your first check will also include back-payments that begin from the time that your child was determined eligible. 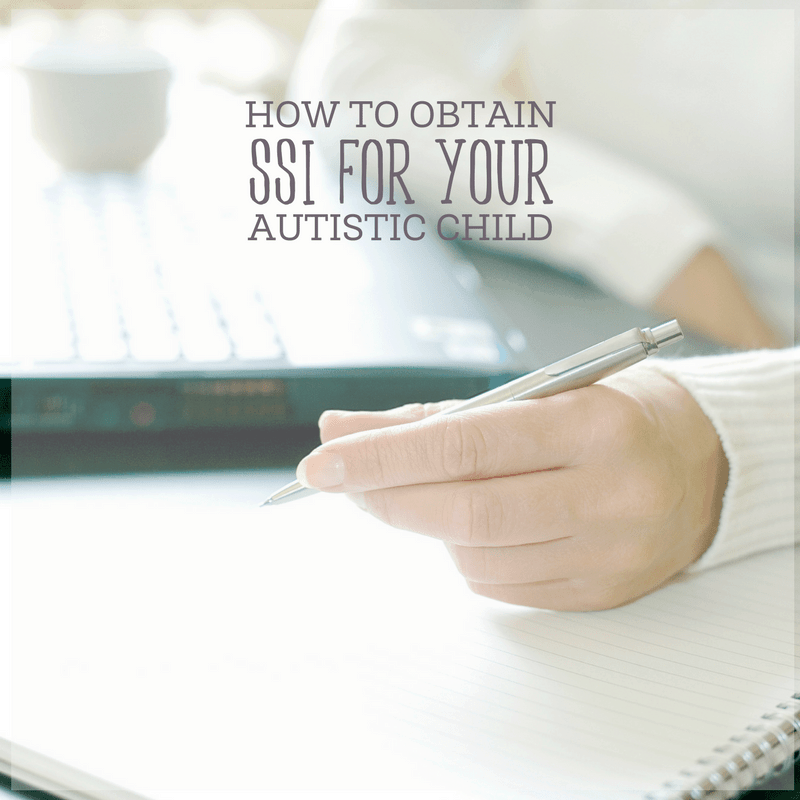 One of the main things with SSI, is that is it must be used for your child. For example, clothing, special foods, therapies, etc. Things that aren’t normally covered by insurance and/or can’t be obtained elsewhere. SSI will also usually qualify your child to receive Medicaid. But this is also something to discuss with your case worker. You can save money but only if it goes into a dedicated account for your child’s future. The maximum amount that you can save is $100,000. This could then go towards creating a special needs trust. SSI will expect for you to document your spending in some way or another. Either hold onto receipts or keep a spreadsheet for this purpose. That way, when your review comes up, you have the information in one place. SSI will also need to be renewed every so often. For us, it’s every three years just to determine that she’s still disabled. In the past we’ve done this both over the phone and through a letter. 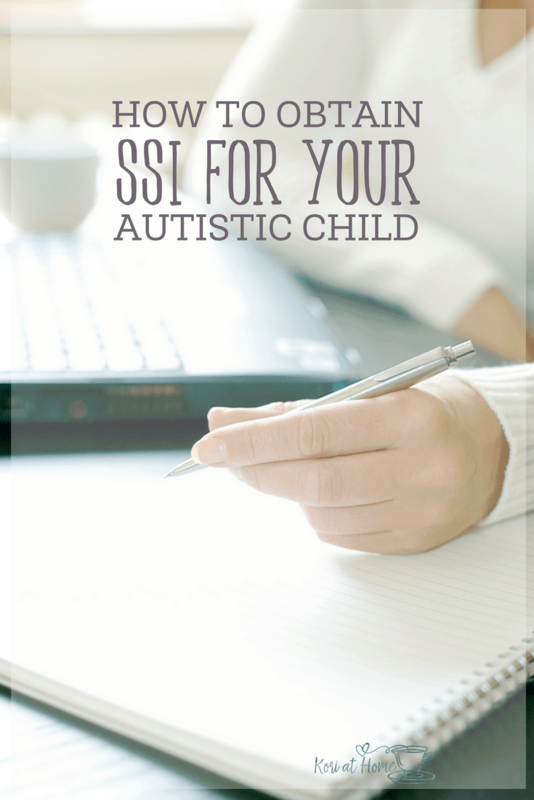 Have you thought about obtaining SSI for your child?